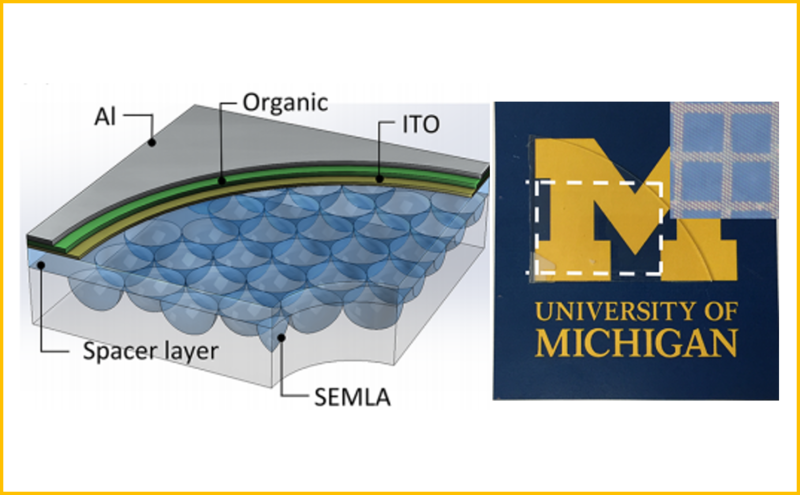 A semi-transparent non-fullerene acceptor organic photovoltaic cell, which can achieve 7% power conversion efficiency with an average transmittance of 45%. You can read about this and other projects on our research page. 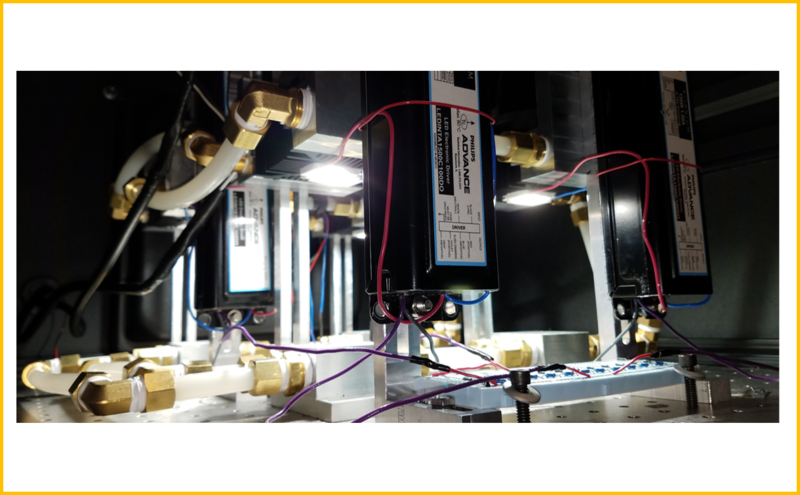 A High-intensity LED aging system capable of producing >65 suns equivalent intensity with active water cooling that is capable of testing over a dozen photovoltaic devices in parallel. A computer generated schematic depicting an OLED device utilizing a sub-electrode microlens array is shown on the left. 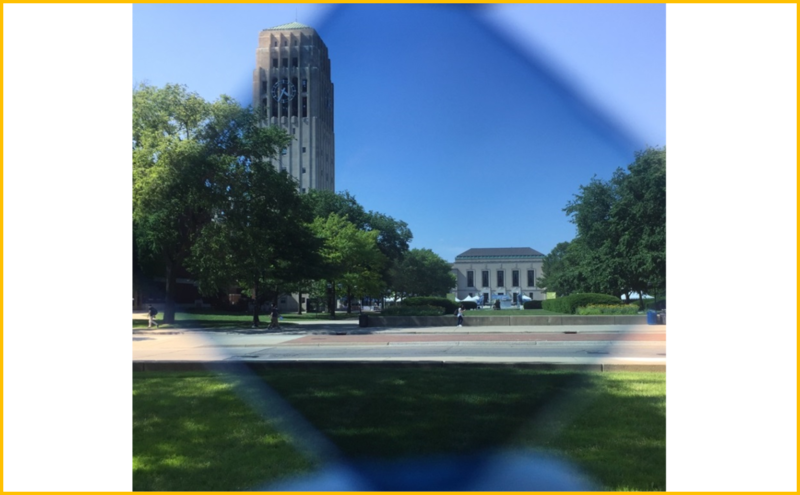 A top down image of a fabricated structure is shown to the right demonstrating clarity and transparency. 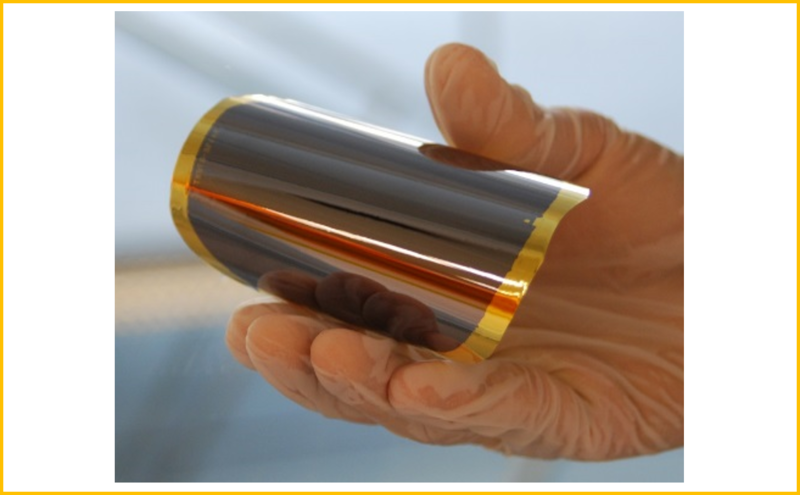 A rolled up array of OLED devices fabricated on a flexible parylene substrate that also demonstrates optical outcoupling capabilities. 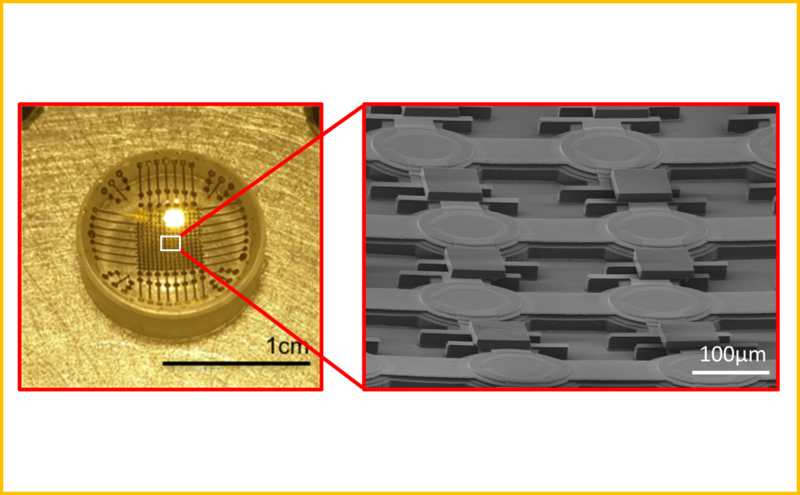 A non-planar photodiode imager array demonstrating un-altered pixel resolution upon transfer from a developable 2D surface to a non-developable 3D hemisphere. 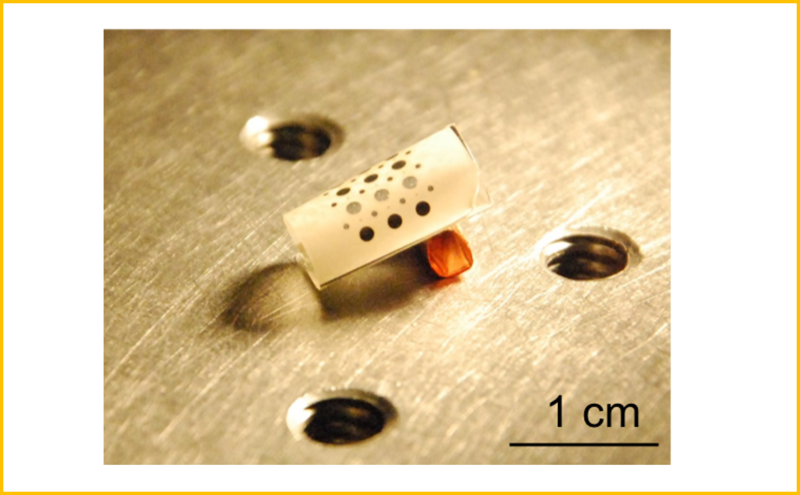 A lifted off 4" diameter epitaxial layer of solar cell active area GaAs bonded to a 25µm Kapton® film. 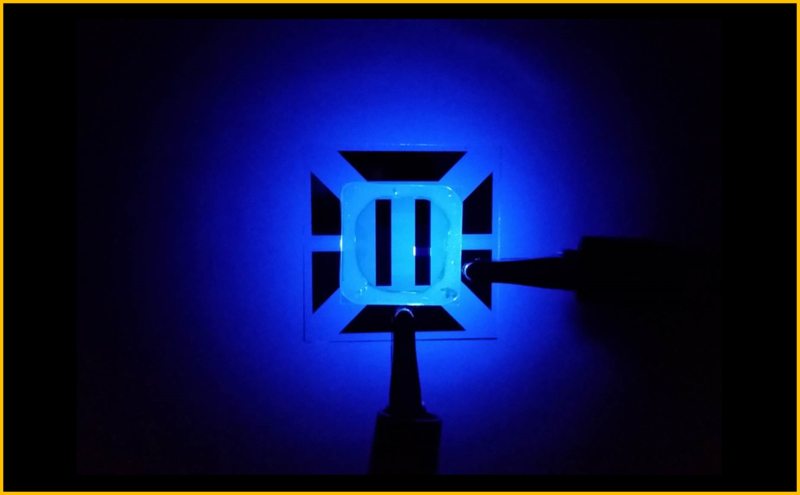 A deep blue phosphorescent organic light-emitting diode (PHOLED) based on iridium (III) phosphor. This work is highlighted on IEEE Spectrum. Dejiu Fan, Byungjun Lee and Caleb Coburn demonstrate the topological transformation of an optoelectronic circuit from a plane to a hemisphere without changing the relative spacing of circuit elements. 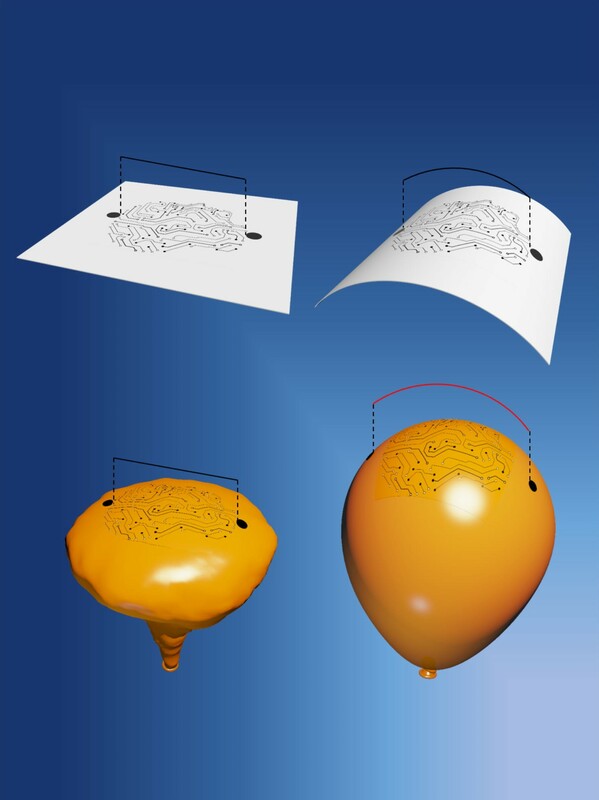 This unique process opens the door to many new applications in conformable and flexible optoelectronic applications. Click for a higher resolution image! 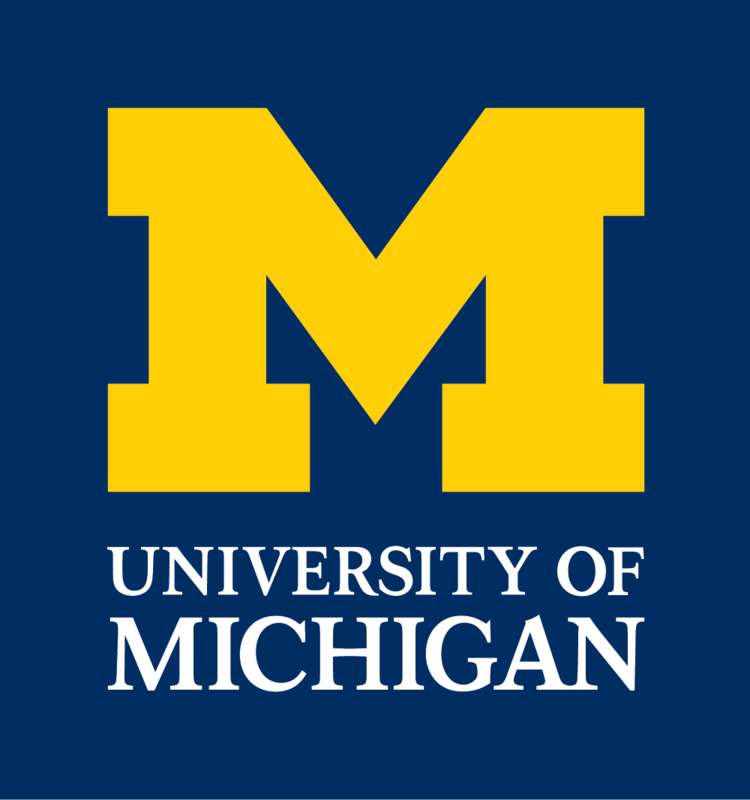 Congratulations to Yue Qu for winning the SID Metropolitan Detroit Chapter Academic Award!